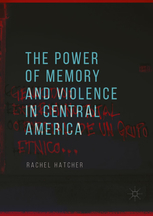 This book explores the power of words in post-Peace El Salvador and Guatemala—their violent and equally liberating power. The volume explores the entire post-Peace Accords era in both Central American countries. In “post-conflict” settings, denying or forgetting the repressive past and its many victims does violence to those victims, while remembering and giving testimony about the past can be cathartic for survivors, relatives, and even for perpetrators. This project will appeal to readers interested in development, societies in transition, global peace studies, and Central American studies.